You know what's weird? How did our culture get to a place where we said "Hey, let's take something not scary and turn it really scary?" We sure don't know, but trees are scary now. Then again, if you've ever been in the forest in the middle of the night, you already know that. Never know what's lurking behind that tree. It could be... another tree! Oh no, look out! And not just boring old stationary trees either. We've gone from that to creating real moving trees that actually attack you! Those trees in the Wizard of Oz throwing apples? That's messed up, man! And then the Ents from The Lord of the Rings! 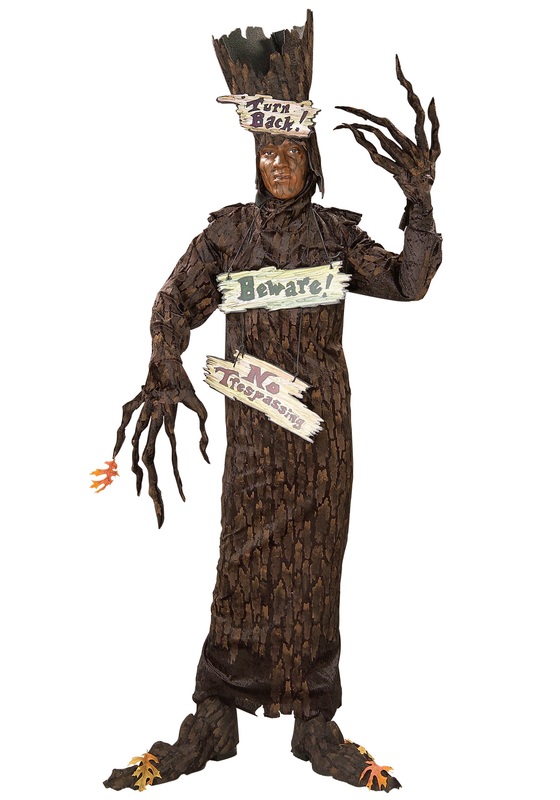 Sure, they're slow and don't seem like a threat, but that's exactly how Ents get you! One minute you're just relaxing picking at some bark and the next minute you're being hurled into one of Saruman's fire pits! Fire pits are the worst! Fortunately, our tree comes with its very own warning signs, which is quite polite for being an evil, scary tree. But everyone will know to be on guard when you approach, although they might be... rooted to the spot with fear! Just don't get to close to any candles or fires or lumberjacks. Just trust us, they don't have anything good planned for you, scary tree. So get back to nature and use those tree branch fingers to poke some friends, or eat some olives, or scratch your nose from really far away. The uses are pretty much infinite. And when the party's over, you can just make like a tree and... well, you get it.